Lars of the Stars and his crew flew into a nebula to escape Emerald. They’re stranded, low on fuel, and everyone thinks it’s their fault. Meanwhile, Steven and Connie prepare for another visit to their favorite space pirate. Waking up from a nap in the Sun Incinerator, Lars finds his crew of Off Colors missing and faces the return of Topaz and Aquamarine. Meanwhile, the Rutile twins find themselves separated, Fluorite stands on trial against the Diamonds, and Padparapscha’s past-vision reveals the truth. Lars and his crew are stuck in a dream world where their greatest fears and insecurities come to haunt them. The Rutile twins have split up and Fluorite - a fusion of six Gems - is ordered to be unfused and individually imprisoned. And then you got Lars himself. He’s managed as a space pirate captain for a while, but he’s starting to crack. 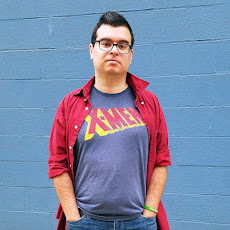 After considering getting help from Steven he quickly realizes that he doesn’t know anyone. He’s out floating in space with a bunch of aliens he just met and barely holding on. His dream world horror terrifies him even before Aquamarine and Topaz show up. 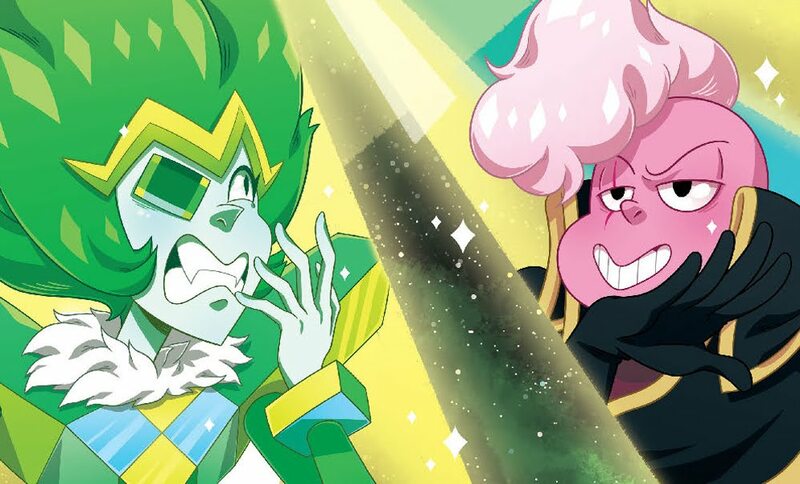 Blas once again does a fantastic job at showing the personal anxieties and insecurities of Lars and the Off Colors. The fears that come to life in their dream world aren’t just tangible things that could hurt them, they’re terrifying experiences that could ruin their lives forever, and this is captured beautifully in Bagnoli’s illustrations. The decision to tell the story of Lars and the Off Colors was a genius move from the beginning, but having Steven serve as a background character for the first half really helps Lars and his crew take to the spotlight. There’s never been a Steven Universe story quite like this. 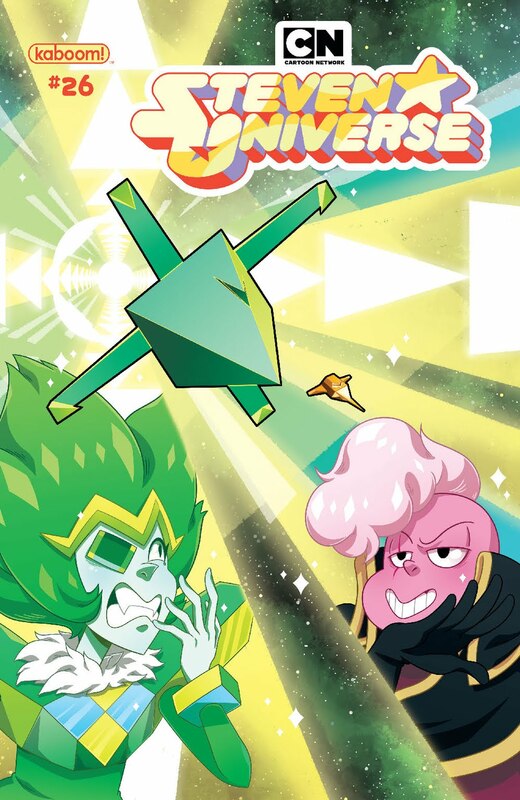 And it’s the comic every Steven Universe fan should read. 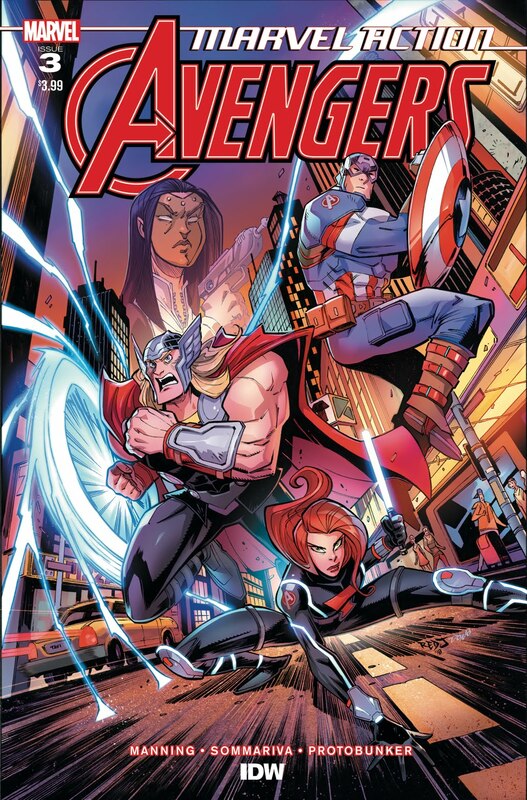 Tony Stark’s time as a brainwashed agent of AIM comes to a close as the Avengers help jog his memory, bringing an end to the first arc of this all-ages Avengers reboot. I love this book. 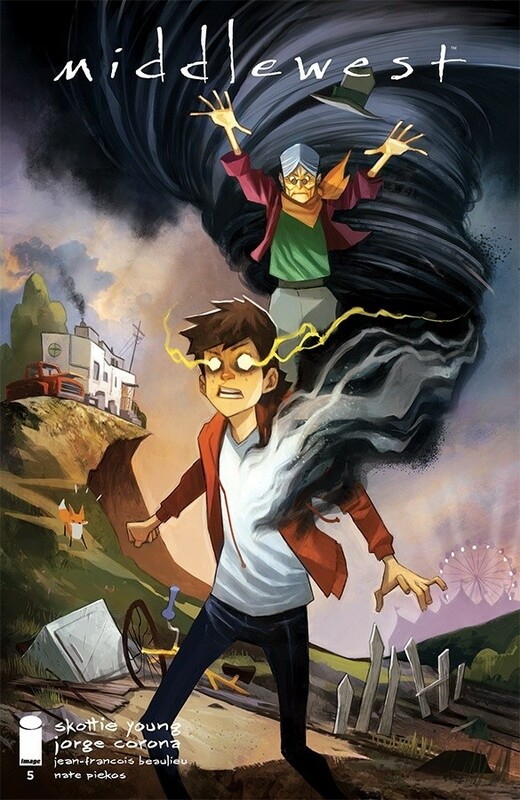 The brainwash story is intriguing enough for adults and not too confusing for young readers. There’s no alternate timelines or mothers getting resurrected here. Just heroes fighting villains. And I gotta say the use of lesser known characters is really appreciated. While the main cast of Avengers - both within the pages and on the covers - are ripped from the MCU, the villains are made up of Madame Masque, Fin Fang Foom, and even the U-FOes. Kids will be drawn in by familiar characters and introduced to new ones. I’m also diggin’ how the characters have their retro costumes in flashbacks. I think I mentioned this before, but this issue not only has old-school 60s outfits, but it also shows the original founding Avengers - including Ant-Man and the Wasp. The characters look and sound like their MCU counterparts, but still have some of their fifty plus years of history. The Marvel Action series is the perfect concept for a comic these days and the Avengers series is the perfect execution of that idea. It’s not just a kid’s comic with some old references for adults. It’s truly a comic all ages can enjoy. This is one of those “What is going on?” comics that poses more questions than answers. It’s hard to get one of these mystery box stories right, but Young does a great job at making us go, “Huh?” while also keeping us coming back for more. The endless piles of unanswered questions work perfectly to convey the Middlewest from Abel’s point of view. He’s never left his small town and everything is new and unknown to him. In this issue, Abel joins Magdelena’s carnival in hopes that she’ll be able to remove the mysterious wind monster inside him. Meanwhile, his terrible father has gone on the road in searching for his son. Middlewest seems to have settled into a status quo after Abel ran away and has finally joined the circus. With one more issue in this arc, I have a feeling Skottie Young is going to set this carnival on fire before Abel has a chance to relax. Will Abel have a life at Magdelena’s carnival? Will his father find him? Will there be a battle of the wind people? Will we ever find out what that pink liquid plugged into all the things is? Find out in the first volume of Middlewest, which you can click here to pre-order right now. This is a weird book with an even weirder history and the perfect gift for the film buffs in your life. In the 1930s, Spanish artist Salvador Dali met the Marx brothers and began conceiving a film. Dali would write and direct, the comedy troupe would star. The film was never made and lost to obscurity. Until now. Adapted from the original screenplay by Marx Brothers mega fan Josh Frank and Tim Heidecker (of Tim and Eric), the strangest movie never made is finally brought to life as a graphic novel with Manuela Pertega providing wonderfully bizarre illustrations. This is more than just a comic book. In fact, the adaptation of the film itself doesn’t even begin until the forty-fifth page. After a series of personal notes from the creators - as well as Harpo Marx’s son Bill - is a twenty page illustrated story of the behind the scenes development of the film. The main story itself is what those familiar with Dali and the Marx Brothers could only imagine a union between the two would create. A businessman named Jimmy, “played” by Harpo, is drawn to the mysterious Surrealist Woman, whose very presence changes humdrum reality into Dali-esque fantasy. With the help of Groucho and Chico, Jimmy seeks to join her fantastical world—but forces of normalcy threaten to end their romance. This is more than just the scenes from the script translated into rectangular panels. The reality scenes are in a black and white style similar to films from the era, while the more fantastical sequences are an acid trip blending color and illustrations that kick down traditional comic panels and send the characters dancing across the surreal stylings of Salvador Dali. But this isn’t just a feature-length version of Un Chien Andalou, the inclusion of the Marx Brothers is as accurate as if they were living within the page itself. I can hear their voices as their classic comedic style is brought to life even in simple dialogue scenes. As a film school graduate, this was a nostalgic read that took me back to my classes where we watched old films that captured dreams on celluloid and comedic routines unlike anything you see today. Frank, Heidecker, and Pertega has resurrected some of the greatest creative minds of the century and brought their lost film back to life in the only medium that could do it justice. No actor could truly imitate the voice of Harpo or Groucho, and no director could capture the surrealism of Salvador Dali. But this graphic novel emulates their work in a perfect balance of respect and appreciation that shows just how much the story means to the creative team that brought it to life. For nearly a century it was thought that no one would ever even know this film’s story, and now everyone has the chance to experience it in a form as close to its original creator’s intent as possible. 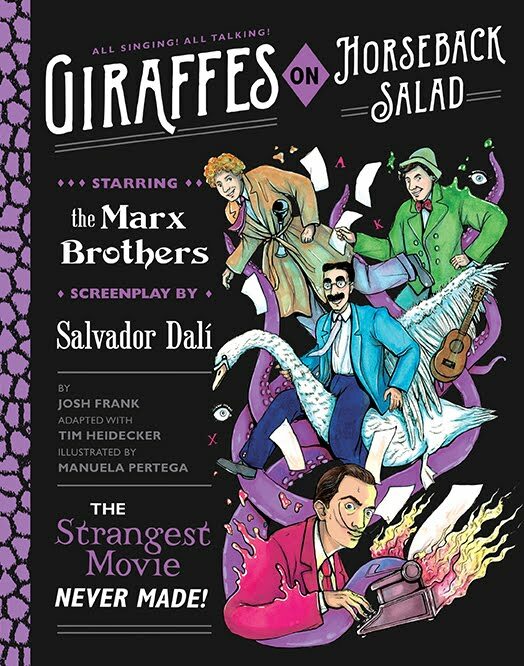 Click here to order your own copy of Giraffes on Horseback Salad today. In a world where assassinations are crowdfunded and bodyguards can be summoned like a Lyft, Charlie Ellison is just a perfectly normal girl who somehow racks up a huge Reapr campaign overnight - and she can’t figure out why. Crowded is a wild and zany ride that finds time to be smart and thoughtful along the way. The worldbuilding is on point, the dialogue is snappy, and the characters are expressive as hell - this has already been optioned by Rebel Wilson and even though the character isn’t drawn to look like her I can still “see” her in the role. Click here to get Vol. 1 of Crowded today.